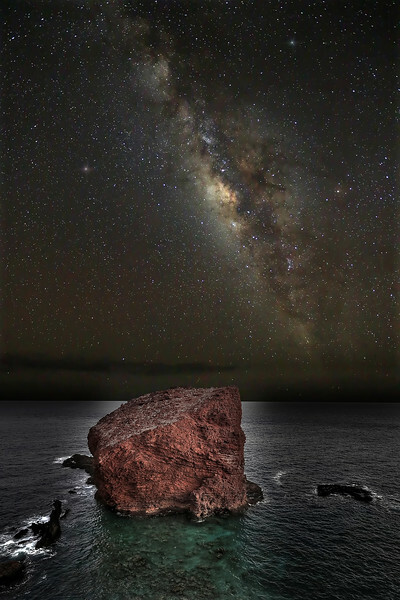 For years, I've had a vision of capturing the Milky Way rising above Pu'u Pehe off the island of Lana'i, Hawaii. Unfortunately, without a truck load of lighting... the shot I've had in mind is just about impossible to pull off. However, by pulling pieces from the dozens of shots I took this night, and blending them together... I was able to put together a fanciful image of what I would like people to see and enjoy about this magical place in Hawaii.